Your customers aren't in front of their computers all day. Our responsive websites put you in front of them wherever they go. Customers can't do business with you if they can't find you. Our SEO tools, along with SEO services, ensure that your dealership shows up in your customers sights every time. Our platform is designed to drive customers to your site and showcase your inventory to increase sales. 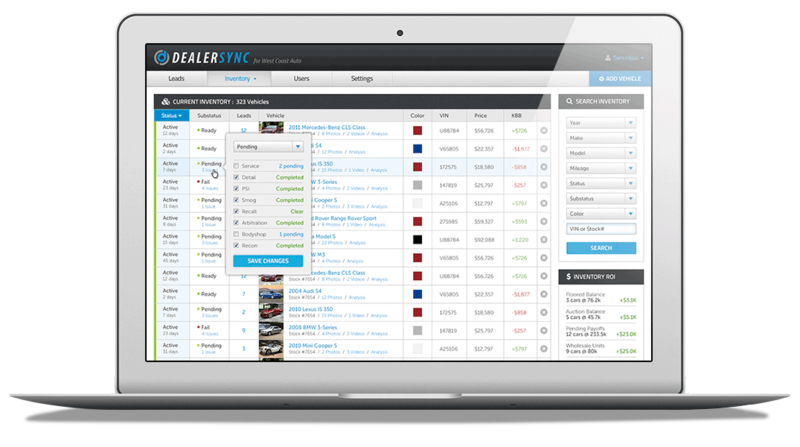 Take DealerSync with you to go from the auction to your website in minutes. Our mobile app gives you all the tools to manage your inventory and pricing. Update your website in real time, regardless if you want to update your home banner, specials, or pretty much anything else. Say goodbye to the hefty cost of website programmers and see how easy it is for you to be in the driver’s seat. Mass update your inventory prices with the capability of scheduling exactly when you wish the prices to change, eliminating discrepancies in pricing between 3rd party websites and yours. Rather than update the comment section manually for each unit, which potentially could take hours, DealerSync’s universal solution, Promotional Text, allows you to change the comment section that gets pushed through to 3rd party websites, and apply it to all the units based on year, make, model, or the entire inventory; giving you the freedom to change the message across the board in minutes rather than hours. Vehicles older than 4 years or non-resident vehicles are required by California law to pass a smog test. With all the hustle and bustle of a busy dealership, some vehicles are bound to slip through the cracks and be sold before they’re smogged. With DealerSync’s Smog Tracker, this will be a worry of the past. Clean cut designs hand in hand with fully customizable options leave you with a crisp and fresh way to display your inventory. With DealerSync, "the cars are the stars". We live in a digital age where everything is mobile and on-the-go. With DealerSync, your website is optimized for all browsers, platforms, and devices, leaving your customers free to browse wherever they are! Long gone are the days of server rooms, crashes, downloading applications, software updates and specific access points, etc. With DealerSync, all you need is an internet connection and you’re good to go. DealerSync blows the competition out of the water with websites that load faster than your current site. We're setting the new standard for speed in the industry. It is a known fact that in order to effectively take out the competition, you must first study them. Take a look at your competition, and see how they’ve priced vehicles in order to accurately price yours. Take the guesswork out of pricing and base it on cold, hard numbers. Instant, integrated market data is easy to understand, easy to use. Instantly view your competitors’ similar vehicles and compare key points such as, mileage, price to market, rank to market, and the estimated turn-around time. Cloud-based market data and key performance indicators are shown updated daily, giving you real time figures and allowing you to price your vehicles accordingly. Intuitive, user-friendly interface lets you command and manipulate data at the click of a button. Google prefers responsive websites when it comes to calculating SEO. Google understands that the number of mobile users has grown, and it’s critical to serve these customers in a way that’s optimized for smartphones. With mobile friendly websites, Google only needs to look at one URL in order to calculate SEO. According to Google, the more mobile friendly a site is, the higher it ranks. 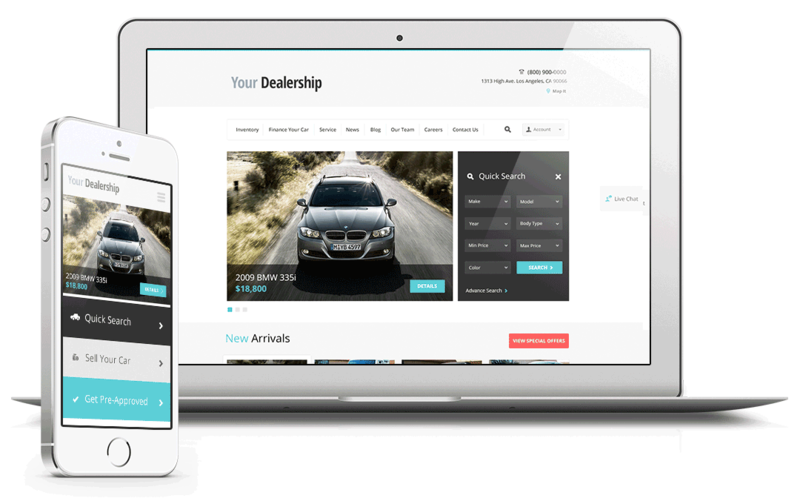 With the fastest loading website in the industry, and fully responsive mobile friendly designs, DealerSync’s website users have their needs met, which translates into them staying on the website, rather than just clicking and exiting. SEO key words are integrated throughout the website, ensuring that your SEO ratings rise in your target industry. Feeds get automatically pushed through once a day to our partner websites such as AutoTrader.com, Cars.com, Edmunds.com, and others. Unlike other 3rd party websites, Craigslist doesn't offer automatic feed retrieval, which can make posting a time consuming hassle. However, DealerSync is capable of posting on your behalf automatically, no longer isolating the portion of the market that shops via Craigslist. DealerSync's Live Chat is powered by a team that has worked in all areas of the industry. Seamlessly integrated into your website and dealership, and based on studies of visitor behavioral targeting that guide every aspect of the proactive chat solution. This isn't guesswork; it's all science. With so many free-to-post websites available, DealerSync ensures that you don’t isolate any area of the market by automatically pushing your inventory feed to hundreds of free-to-post websites. The more awareness your vehicles receive, the shorter the turnaround time on them will be. 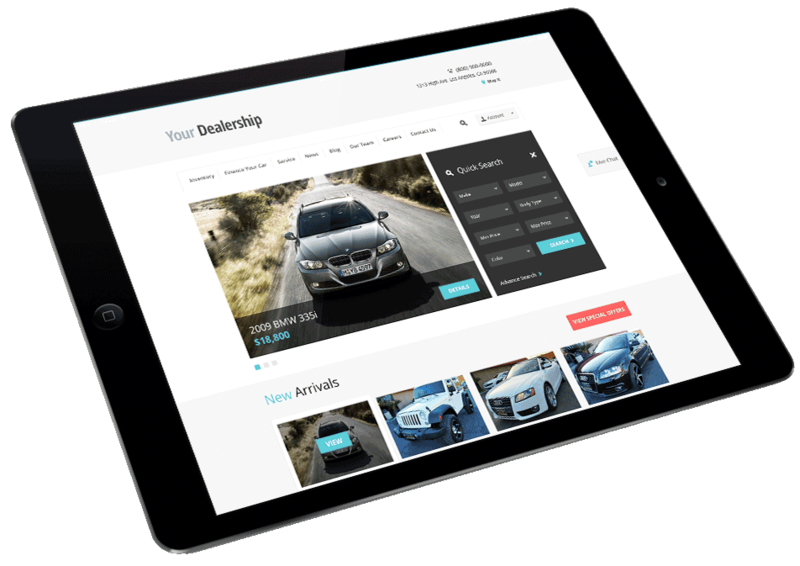 Identify customers and drive more traffic to your dealership. Showcase your inventory to increase sales. 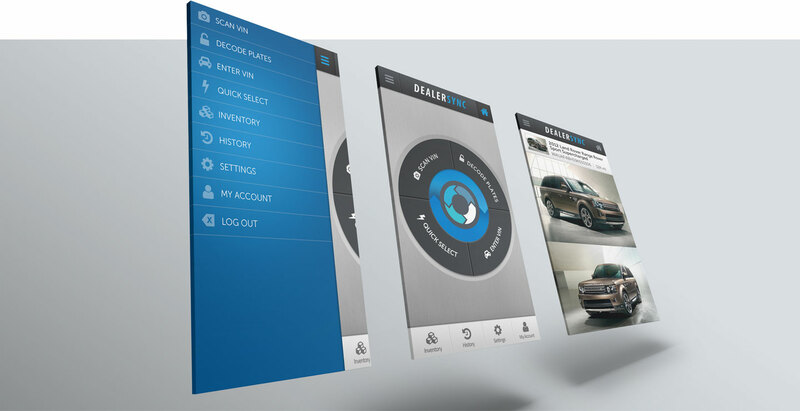 Use our mobile app to manage your dealership.